View cart “Rainbow Dark Curb Necklace” has been added to your cart. 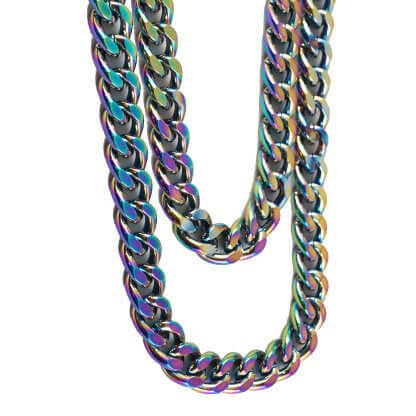 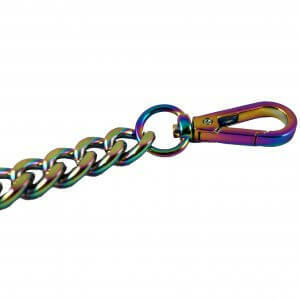 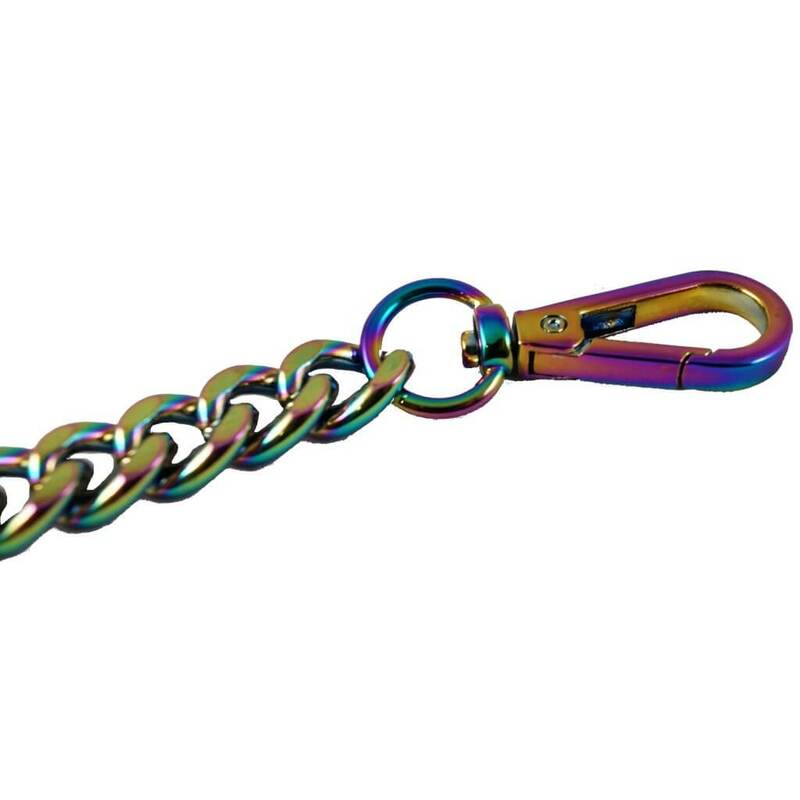 Curb Chain Necklace in Rainbow Anodized Titanium colorway. 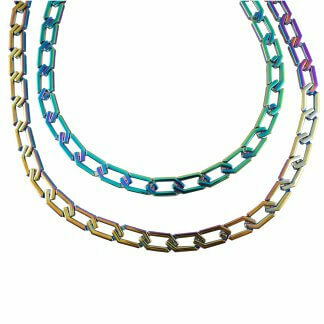 Necklace features two strands of chain and a matching clasp closure.